Challenge your friends to a friendly game of pool at Sanctuary Lakes Hotel! 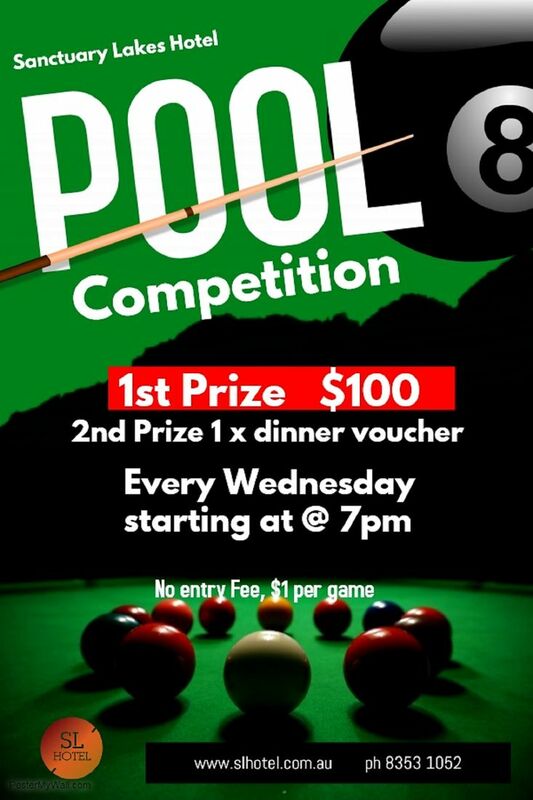 Our pool competition is held every Wednesday night. $100 for 1st Prize. Get practising now to take out the number one spot!